“Dai 20 Hirashige” (BMS +3.6 and REA 44 cm2). 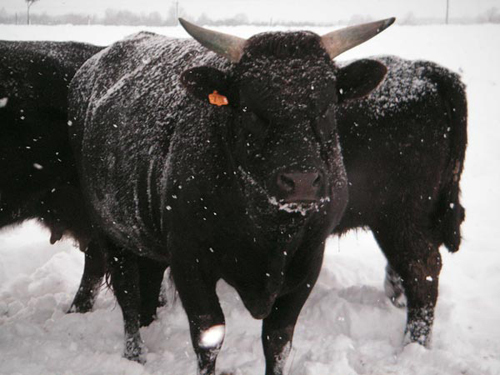 “Dai 20 Hirashige” is considered to be one of the greatest Wagyu sires from Japan. He was born on April 15, 1974 in Tottori Prefecture and was sired by “Kedaka”. “Hirashige” himself was a linebred animal having “Kedaka” – as both sire and maternal grand sire. He was privately purchased and proven in Kagoshima Prefecture and had an official proof of BMS +3.6, and REA 44 cm2. In 1983, “Hirashige” was classified Kurokou 84.7, the highest score in Japan at that time!! He lived a long productive life and finally passed away 19 years and 8 months after his birth.